My latest post on Black Perspectives, “W. E. B. Du Bois, Higher Education, and the Black Intellectual,” takes a look at Du Bois’s first novel The Quest of the Silver Fleece (1911). Be on the lookout for “Percival Everett by Percival Everett,” my latest essay forthcoming in The New Inquiry. Below is an abstract for my upcoming talk at the NeMLA conference in Toronto on the panel “College in Crisis: Higher Education in Literature and Popular Culture.” I’m particularly excited about this panel because it’s a rare opportunity for some face-to-face dialogue with other scholars of academic fiction. Though his work is often filed under the genre of “literary fiction” Percival Everett’s writing has bounded across an array of literary genres and themes. His first novel, Suder (1983) is the story of a black professional baseball player who is experiencing a batting slump and becomes obsessed with the music of jazz saxophonist Charlie Parker. Among his other novels are Frenzy (1997) a retelling of the Dionysus myth set in ancient Greece, and God’s Country (1994) an American Western set in the 1870s. In this presentation I will examine Percival Everett’s work in academic fiction, a genre defined by its fictional depictions of universities, students and professors. 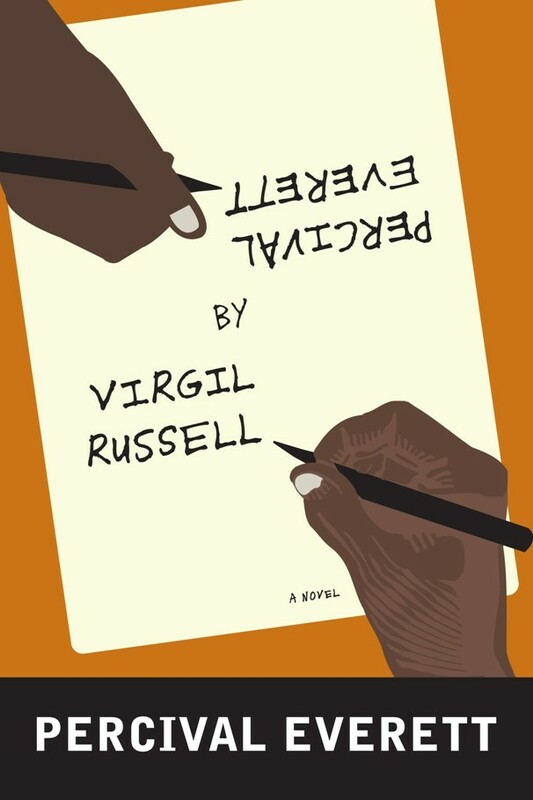 In his 2001 satirical novel Erasure Percival Everett examines the significance of racial authenticity in black literary and cultural production, and explores broader questions about authenticity, art and cultural politics, while delivering a scathing satire of literary academia’s pretentious excesses. Everett’s novel Glyph, published in 1999 (and recently reissued by Graywolf Press in 2014) features a silent, highly intelligent baby named Ralph who is conversant in literary theory and carries on an interior monologue of insults directed at his parents. Everett’s 2009 novel I Am Not Sidney Poitier includes scenes set at the historically black Morehouse College, featuring a professor named “Percival Everett” who teaches a class on “Nonsense,” and is critical of the college’s respectability politics. In all of these novels Everett engages, undercuts, ridicules and critiques academic discourses and racial logics. This presentation is part of a book project on academic novels and the politics of the black intellectual, and in this paper I will examine the ways in which Everett’s academic fictions generate provocative conversations about the role of black intellectuals in higher education, and the vexing history of race in American culture and literature. This summer I endeavored to knock a few books off the old “should-have-read-it-a-long-time-ago” list. Don DeLillo’s White Noise is one of those academic novels that I’ve name-dropped plenty of times before, but still had not read. So, in early August, comfortably ensconced in my new digs in Jersey, I sat down and dug into it. A couple weeks later, just before the start of the semester, I found myself assigned to teach a course on Contemporary American Fiction. I quickly assembled a syllabus that included White Noise and leaned heavily toward academic novels, including The Human Stain, On Beauty, Erasure and Open City. (OK, Open City may not be an academic novel exactly, but I’m hoping that reading it again will help me decide). While reading White Noise, I was also keeping up with the escalating situation in Ferguson, Missouri after the killing of Mike Brown on August 9. Like so many other folks on Twitter I watched what started as a steady stream of tweets by people on the ground in St. Louis turn into a national and international story. Is this not exactly how things went down in Ferguson? First there was an outcry that mainstream media was neglecting the story. But once that mainstream media arrived, and acted like its obnoxious mainstream media self, then came the outcry for the reporters to leave. 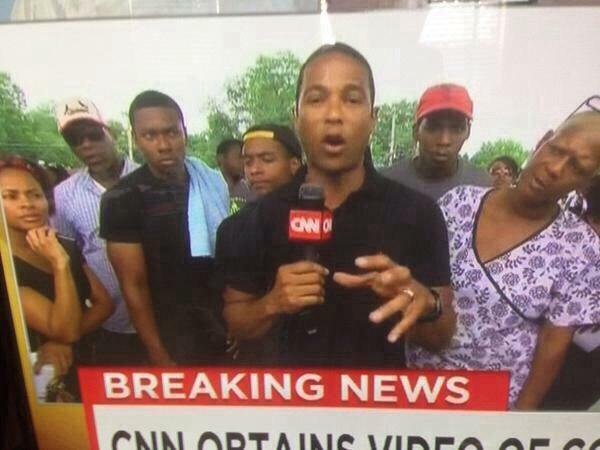 The media spectacle produced one particularly indelible image of CNN’s resident black pathologist Don Lemon, surrounded by a group of St. Louis residents giving him mad side-eye. In fact, the media mess got so bad that journalist Ryan Schuessler voluntarily left the scene, and poignantly explained his reasons for doing so, citing the arrogant selfishness of the talking head divas who parachuted in and immediately started throwing their weight around. In my class I assigned part of Kathleen Fitzpatrick’s The Anxiety of Obsolescence to read along with the novel. Chapter 3 of the book, “Spectacle,” is specifically about DeLillo’s work, and Fitzpatrick uses some noteworthy media theorists (Postman, McLuhan, Baudrillard, among others) to pick apart the media critique in the novel (while also remaining suspicious of how discourses of obsolescence deployed by straight white male writers are too often imbued with specific racial and gender politics). One of the great things that White Noise does so well is to show the discomfiting ways televisionized populations have come to rely on mainstream media narratives to validate their suffering. From the Airborne Toxic Event, to the people on a terribly turbulent plane ride that managed to make it to the ground unscathed, the novel shows characters repeatedly turning to television news to narrate and give meaning to their own traumatic experiences. This is a particularly dangerous game for black folks when corporate media is as hostile to black life as it is. (Yes, even that so-called “liberal” media who covered the event deflected conversations away from the injustice of a police murder and toward tired, insulting debates about sagging pants and black parenting). That media attention is a terribly recursive loop that is difficult, maybe even impossible, to escape. Attracting national attention was absolutely essential to the growth of the Ferguson movement and has resulted in an international outcry against the Ferguson police and their malicious mishandling of both the shooting and the protests. (Their hostility and incompetence are not even up for discussion). At the same time, Don Lemon and the rest came swooping onto the scene with their “idiot questions” about black behavior, because they know those hot-button topics will generate the predictable ratings numbers and page views that they need to satisfy their advertisers. That passage conjured images in my mind of the horrors of the 5th ward during Hurricane Katrina, and the projects in Red Hook and Coney Island during Hurricane Sandy (among many other unfortunate scenes). I noticed some early reviewers of White Noise cited the Bhopal disaster in India, which happened in December 1984, just a few weeks before the novel hit bookstores in 1985. Bhopal was a real live Airborne Toxic Event, except there were no fancy microbes to clean up the air, and people are still living with the after-effects of the company’s callous negligence some 29 years later. But I now think about the story of David Hooks– a 59 year old white man in Georgia – who on September 24 was killed by DEA agents who barged into his house with a no-knock warrant. No drugs were found. Surely such things only happen to people in the hood who voluntarily choose to live around drug dealers, right? Surely such things do not happen to polite law-abiding white citizens, do they? As the Ferguson story grew, white nationalists found a cause celebré in Darren Wilson, raising over a half million dollars (to date) for his legal defense (and, apparently, for lap dances and beers, at his discretion). But more level-headed white folks have (hopefully) looked at the body armor and tanks and tear gas on the streets of Ferguson and have realized that the urban militarism deployed against the protesters there won’t stay confined to the hood for long. Hopefully they realize now (if Occupy Wall Street didn’t show them before) that all those chickens that people have warned about – perpetual wars in other places leading to escalated militarism in police forces domestically – have indeed come home to roost. For the most part our conversations about White Noise in class didn’t get this politically topical. Again, I tried to stay out of the way and let them think their own way through it. We did talk about race, religion, class and gender. But they also spoke quite eloquently about the age of television and how televisual media has come to dominate our self-perception. They talked about fear of death in the novel (one of its biggest topics given the whole storyline with the experimental drug Dylar that Babette is taking to quell her death fears), and I was proud to hear them deal with a such a heavy and discomfiting topic with maturity, intelligence and humor. Here then, is the 21st century. Maybe it has always been this way. On one side of town an unarmed black teenager takes six bullets to the body and the head from the gun of a policeman, his lifeless corpse left to rot in the street for hours afterward, the officer who shot him filing no report, and charged with nothing. Meanwhile, on the other side of town people go from store to gleaming store, shopping for cheese graters and paring knives, feeling good about themselves and their comfortable lives. The dread of White Noise, the dread that the shoppers try to placate with their shopping, is that maybe the boundary between these two sides of town is far more permeable than they want to admit, or imagine. 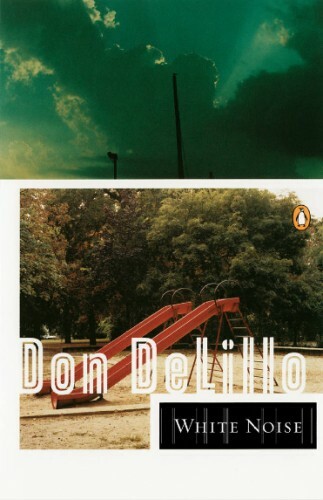 DeLillo, Don. White Noise. New York: Penguin, 1985. Fitzpatrick, Kathleen. The Anxiety of Obsolescence: The American Novel in the Age of Television. Nashville: Vanderbilt University Press, 2006. By now you’ve probably seen that New Republic article “Don’t Send Your Kid to the Ivy League”, and all the rebuttals, and all the rebuttals to the rebuttals. In the article William Deresiewicz provides a rather thorough and convincing (if unoriginal) critique of elite college preparation. It’s a hyper-competitive process that begins at infancy (for kids from elite families), encourages the most cynical and cutthroat behavior from students, and, as Deresiewicz and others have argued, undermines the very purposes of college. (Personally, I liked the way the film The History Boys dealt with all this in a British context.) My biggest problem with the article (besides his swipe at race-based affirmative action) is that he had very little to say about public universities, community colleges and for-profit colleges where the students aren’t all college-prep-programmed youngsters, and where “admissions” operates under a whole different paradigm. This is by far the largest and fastest growing segment of higher education, and the one that most of us will encounter. He can critique the Ivy League all he wants, but the kind of prestige signified by an Ivy League education is one that is remarkably resilient, even among those of us who are happy with our non-Ivy League educations, or who never attended college at all. To some degree I think we all buy into and attach value to the prestige of being affiliated with an Ivy League institution, even when we should know better. In my “Storifying the Academy” article that I posted a few months ago I made a backhanded comment about the recent academic film Admission. After viewing it again, I stand corrected. There’s more to this film than Lily Tomlin’s performance (though she does have some great lines). Admission is actually an interesting examination of the admissions process, this ritual of rejection and acceptance that millions of students put themselves through each year. The film dramatizes what this process means for the administrators and students involved, and what this process says about the way higher education functions, particularly at its most elite levels. In her study of academic fiction The University in Modern Fiction: When Power is Academic, Janice Rossen writes about the ways that power, inclusion and exclusion define university life. For Rossen, Thomas Hardy’s Jude the Obscure is the exemplary academic novel because its main character yearns to be a part of Christ Church, Oxford, but as a working-class stone mason and an autodidact he really stood no chance to enter the hallowed walls of the university. He didn’t have the proper training and pedigree, and there was no way for him to work his way into that kind of prestige. Admission follows the story of Portia Nathan (Tina Fey), an admissions officer at Princeton. The Director of Admissions (Wallace Shawn) is distressed over the fact that Princeton has fallen to number 2 in the U.S. News & World Report rankings. (Of course, we don’t really put any stock in those rankings, do we? They’re just fun to look at, right?) And so he sends his admission team out to find the freshman class that will put them back on top. Portia accepts an invitation from John Pressman (Paul Rudd), the principal of The Quest School, an alternative high school with an eccentric curriculum, to come speak to his students about admission to Princeton. It is there that Portia meets a modern-day “Jude the Obscure” in the form of Jeremiah, a student with a terrible academic record, who also happens to be a brilliant autodidact who has aced every AP test that he took (without taking any AP classes) and has a near perfect score on his SATs. In one sequence Portia gives her admissions spiel to students at an elite prep school, where, decked out in uniforms, they listen to her with respect and obedience. Cut to her scene at Quest, however, and Portia finds herself giving the same talk in a barn (part of the school’s hands-on learning environment) and facing a barrage of snarky questions and comments from a bunch of smart-aleck students such as: “Why should I apply to an elitist institution with a history of anti-black, anti-gay and anti-female oppression?” and “Wouldn’t you be better off sitting in your room reading books?” and “Don’t people just need a college degree if you want to pursue the societally approved definition of success?” As one student puts it, “what we want is to leave the planet better than we found it.” The questions and comments are certainly valid and refreshing to hear, but they also represent a certain sarcastic and cynical attitude toward formal education that has become all too cheap and easy. Portia finally fires back at them with a spirited defense of her profession. “I have a question for all of you. Just how will you leave the planet better? Do you want to eradicate disease? Well, you’re going to need a medical degree. If you want to create new drug therapies, that’s a Ph.D. If you want to defend the innocent and secure justice for all, I regret to inform you that you will have to go to law school!” And I think she was right to push back against their knee-jerk sarcasm. It’s easy to lapse into this snarky attitude about higher education. Yes, higher ed has certainly earned those doubts with its constant tuition increases, expensive textbook extortion schemes, and its massive student loan debt system. But I doubt any of us really wants to have surgery performed by a self-taught doctor whose only training came from reading Gray’s Anatomy and studying biology and chemistry MOOCs on Academic Earth. It’s obvious why Portia’s judgment about Jeremiah is skewed when it comes to his chances for admission. The breakup has left her emotionally out of sorts, and learning about Jeremiah brought back so many difficult questions about her life choices. Portia is so intent on him getting into Princeton because she feels he deserves it, because she wants him close to her, and because in her worldview, this is the best thing that she can do for him. In the process she fails to consider one simple idea: Maybe it is Princeton that doesn’t deserve to have Jeremiah. Maybe he would be better off somewhere else – say a liberal arts college like Reed College – where his eccentricity would be seen as an asset rather than a liability. The film deserves credit for its portrayal of women in positions of authority in the academy. There’s an interesting give and take between Portia and her colleague Corinne (Gloria Reuben) who are both vying to be the new Director of Admissions. Throughout the film we see women having to negotiate child-rearing and babysitting, the difficulty of getting “emotional” as a woman in a professional setting, and jokes about the need for “sisterhood” even as they are in fierce competition for the same positions. Mostly the film worked for me because it shows the irresistibility of these hierarchies of prestige. Getting into Princeton means something. Winning an appointment as an Ivy League professor means something. Even for those of us who claim we don’t believe in such hierarchies, we still lapse into celebrating that prestige, when say, an Ivy League school happens to hire a scholar whose work that we really like, or when one of our own children or family members or friends gets accepted or hired by one of these schools. Being admitted into those halls is incredibly validating, a powerful signifier of status and success, and that kind of prestige has been centuries in the making. Admission makes the case that even when we’re at our most critical of Ivy League prestige, it can’t easily be shaken, least of all by those who are deeply embedded within it. Again, this was just a draft, and a shortened draft for the conference. The final chapter version is about 40 pages with a more substantive discussion of The Culture Wars. I also added some commentary from Michele Wallace’s excellent essay “Ishmael Reed’s Female Troubles” from her book Invisibility Blues: From Pop to Theory. (The essay originally appeared in the Village Voice in 1986). And thanks to the UPenn conference I also got keyed into some more scholarship on Afro-Asian studies, so there’s more about that in the final chapter as well. 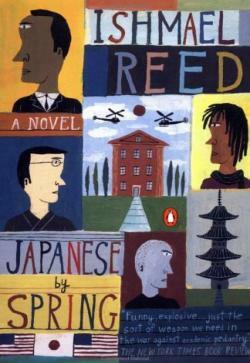 Black(ness) No More: Academia and the Culture Wars in Ishmael Reed’s Japanese by Spring.